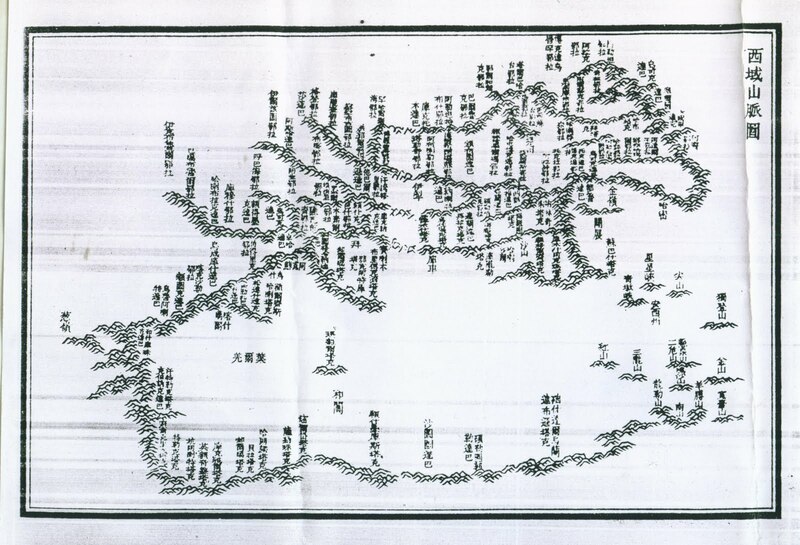 Map of the Western Regions (held by the Chinese) appended to the Hsi-yu-tu-chih, compiled on the orders of Emperor Chien-lung in 1762. An English version of the map is also given. 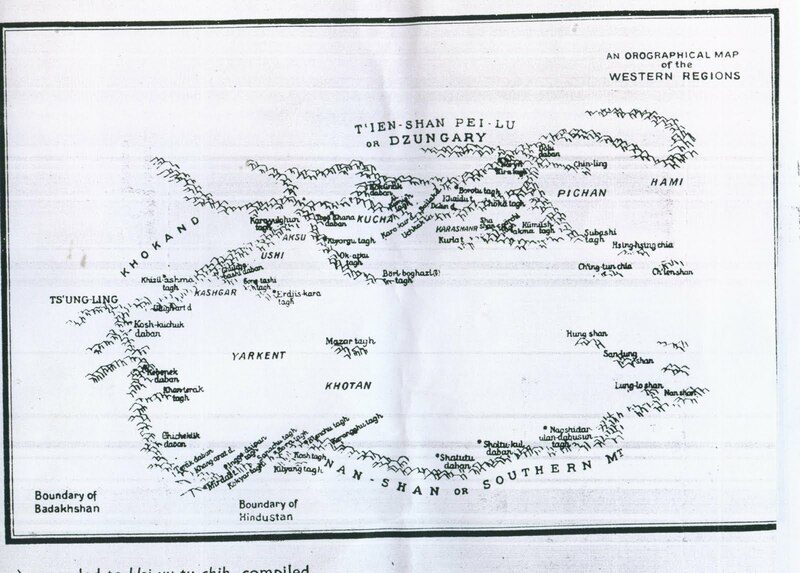 "The map makes clear that Sinkiang extended in the south only upto the Kuen Lun Range".The aforesaid map is reproduced in the Government of India Publication, viz. The Atlas of the Northern Frontier of India at Pg.20. "An Orographical map of the Western Regions"